I prefer meat over fish, but sometimes I need to eat fish and one of the best dishes we enjoyed in Spain was espeto de sardina, which means grilled sardines. To me, it always happens like this. Last Tuesday, I went to a libanese grocery store. I wanted to prepare some hummus so I needed tahini. Once I got all I needed, I decided to take a walk around. And I found a wonderful and huge street market. I found delicious fruits and veggies, spent even less than usual and, most of all, discovered an amazing fish stand. I couldn’t buy fish that very day, because of the meat I already got for dinner, but I told myself I would be back there soon. I walked there again on Friday and bought some fish… sardines, mackerels and mussels!!! Finally I can eat some healthy oily fish… it is not as tasty as the Mediterranean fish, but never mind, I found a good fish stand at last and that’s enough!! Gut the sardines (or ask the fishmonger to do it), wash and scale them under cold running water. 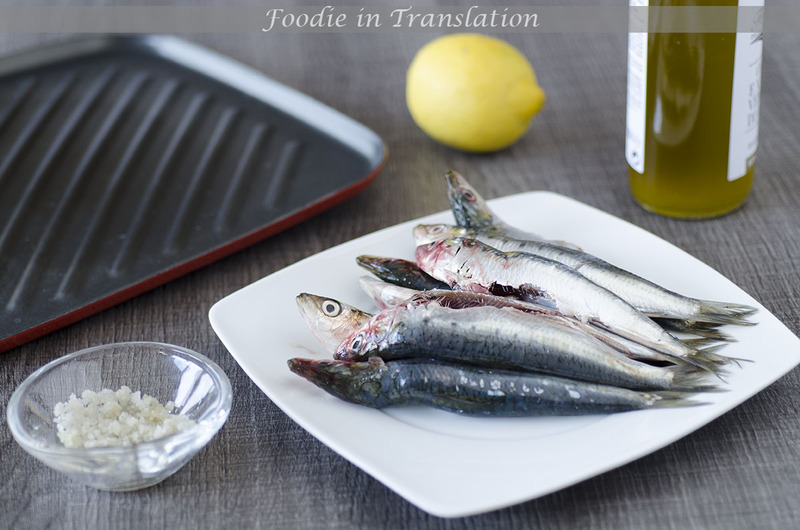 Preheat a grill pan and, when it is hot, place the sardines on it. Cook for 5 minutes, flip the fish and cook for other 5 minutes. 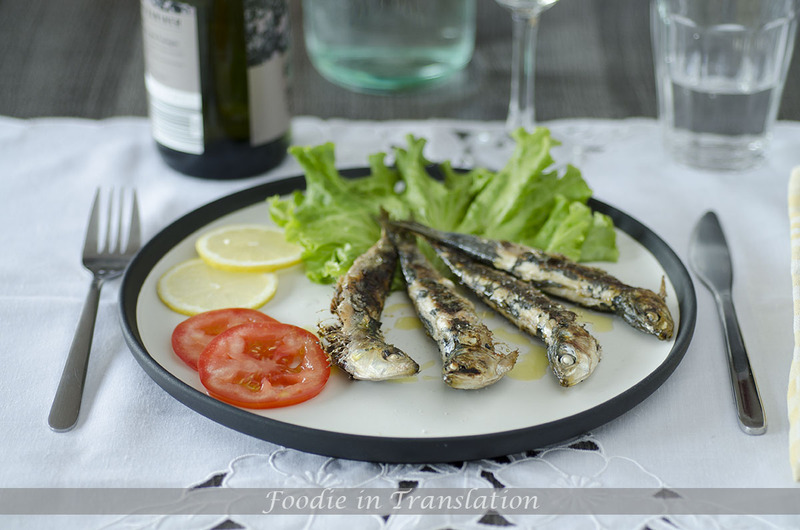 When sardines are ready, place on a plate, season with salt, a drizzle of olive oil and a sprinkle of lemon juice. 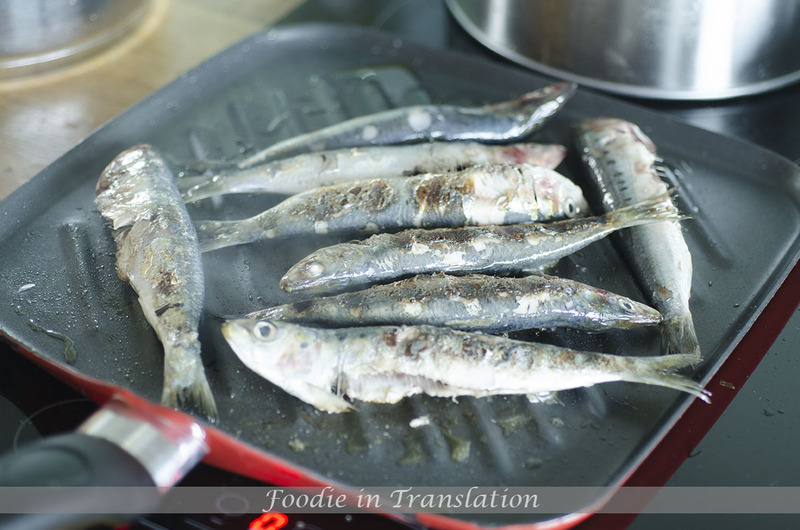 Grilled sardines are ready to be served.